The United States Ninth Circuit Court of Appeals has upheld a $8.25M court ruling against Teck Metals, ordering the company to pay the Confederated Tribes of the Colville Reservation for pollution of the Columbia River from its smelter in Trail, B.C. The ruling this week affirmed that Vancouver-based Teck Metals should pay the Colville Tribes for costs related to the litigation ($4.9M) and expenses related to the investigative studies of the water ($3.4M). "From time immemorial, the Upper Columbia River has held great significance to the Confederated Tribes of the Colville Reservation," Judge Ronald Gould said in his opinion. "These tribes historically depended on the River's plentiful fish for their survival and gave the River a central role in their cultural traditions." "For nearly a century, however, the Upper Columbia River has been fouled by Teck Metals' toxic waste," he continued, explaining the company had dumped 400 tons of slag directly into the river, daily, between 1930 and 1995. The slag was washed into the river with contaminated effluent, which contributed to the 400,000 tons of heavy metals arsenic, cadmium, copper, lead, mercury, and zinc dumped into the river. "It is inconceivable that Teck did not know that its waste was aimed at the state of Washington when Teck deposited it into the powerful Columbia River just miles upstream of the border," Gould continued. 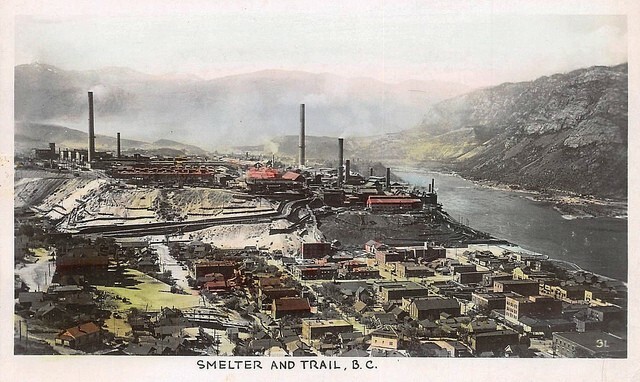 Teck attempted to argue that the pollution in the river came from sources other than their Trail smelter, but tests commissioned by the Colville Tribes linked the waste to Teck's "isotopic and geochemical fingerprint." The court victory provides the Tribes solid ground in forcing Teck to pay for costs of future cleanup of the waste which remains today, primarily in Lake Roosevelt. Washington State also intervened in the case to try to force Teck to clean up the pollution. The company actually reached a settlement with the EPA in 2016 to clean up 15 properties impacted by the waste in Washington State. "This is an unique case, not only because a Canadian mining company has been found liable under U.S. law, but because an Indian Tribe and a state have joined forces to protect a shared treasured resource -- the Columbia River," Colville Business Council Chairman Rodney Cawston said. "Today's ruling means that - the polluter, not U.S. taxpayers, would pay the cost of remedial action."